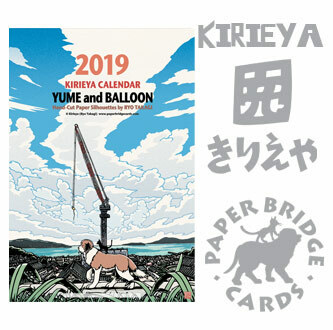 Make 2019 A Year To Remember With Kirieya's Yume and Balloon! 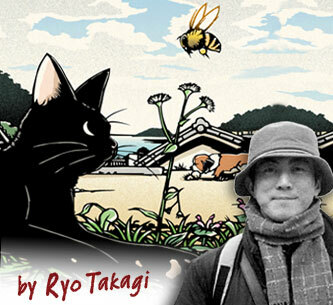 This year's Kirieya Calendar by Japanese artist Ryo Takagi features 12 images of cat and dog duo Yume and Balloon. Although sometimes mistaken for woodblock prints, the images found in Ryo's calendar were originally hand cut from paper with amazing precision using an art knife. 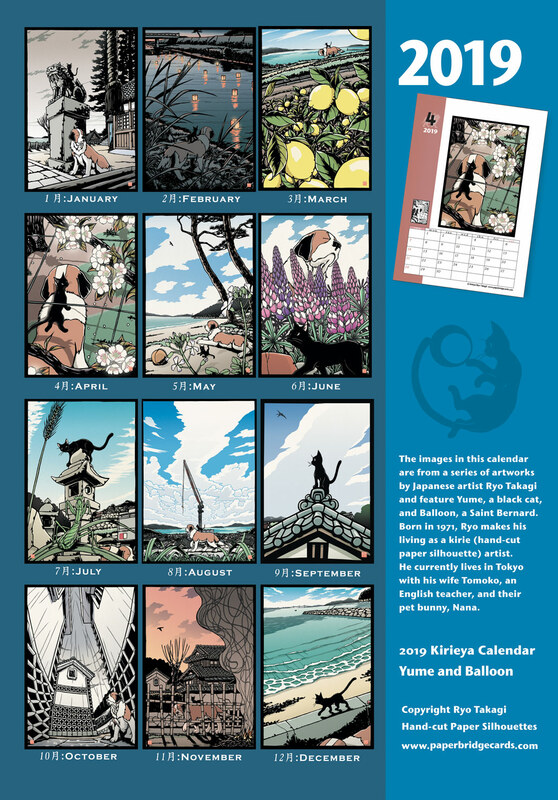 Contains: One Kirieya Calendar with 12 months plus front and back covers. Printed in the U.S. on 30% recycled paper. Paper Bridge Cards || © 2005-2016 All rights reserved || Wholesale Orders || chris[at]paperbridgecards.com .